The I-League finally announced its fixtures for the upcoming season — with just over 20 days left for the first game — and a couple of things stood out. COIMBATORE: The I-League finally announced its fixtures for the upcoming season — with just over 20 days left for the first game — and a couple of things stood out. One was that the league was to start in little Coimbatore, hardly a city brimming with football history, with Chennai City taking on Indian Arrows on October 26 — perhaps a sign of how Indian football has moved away from its traditional power centres in recent years. The other was that while the Indian Super League took a break to allow India to focus on the 2019 Asian Cup, the I-League would just go on. If there were still anyone who, despite what the All India Football Federation (AIFF) maintains, believed that the I-League is well and truly India’s top flight, this will correct that notion. After all, what top-flight league sneaks on quietly when the national team is playing one of its most significant tournaments in recent years? 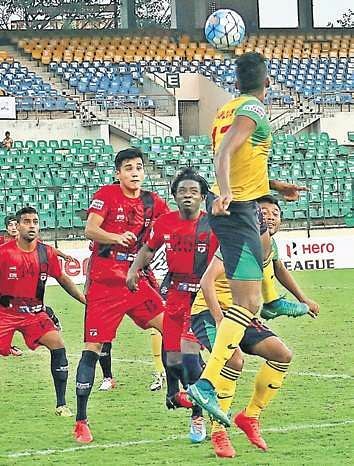 I-League CEO Sunando Dhar said that it was a calculated move. “The clubs felt that playing on when ISL is taking a break was a good opportunity,” he said. “As for the Asian Cup, we have not scheduled any matches when India is playing. Moreover this will be a good opportunity for the I-League. Interest in Indian football will be at an all-time high during the Asian Cup. The only thing fans will have to watch during that time, when India’s match is not going on, will be the I-League.” He also revealed that the clubs were all in agreement with the decision. I-League sides, though, are unlikely to miss too many Indian players when national coach Stephen Constantine calls up people for his lengthy preparatory camp in December. Of the 31 probables called up for the upcoming China friendly, only one — East Bengal’s Salam Ranjan Singh — is from the I-League. That is unlikely to change despite there being every possibility that someone playing for an I-League side can force his way into Constantine’s plans over the next couple of months. The first Kolkata derby of the upcoming season is tentatively scheduled for December 16 while the return leg is slated to be held on January 27. The opening weekend will see Mohun Bagan travel to Kozhikode to take on Gokulam Kerala while East Bengal go to Imphal to play Neroca FC. Minerva Punjab will start their title defence at home against Churchill Brothers while the opening weekend will also see a north-east derby when Lajong host Aizawl. Kashmir will host a historic first I-League game on November 6 when Real Kashmir take on Churchill.